End of tenancy cleaning is generally required when occupiers of houses of flat move out of a property and sometimes when new occupiers move in. Proper end of tenancy cleaning can play an important part in determining whether or not a tenant looses his /her deposit. 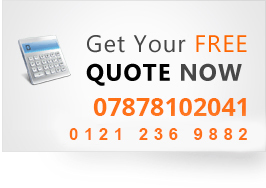 Chrisco Cleaning services are the leaders in End of tenancy cleaning in Birmingham. As part of your EOT cleaning we do the following. Clean exterior of all appliances including juice maker, kettle, toaster. Vacuuming and mopping of floors, cleaning of all skirting boards, clean light fixtures. Cleaning of wash basins, bath, , taps, shower and fittings. Cleaning of shower heads, de-scaled, dried and polished. Shower glass de-scaled and cleaned. All wooden furniture will be dusted and polished if necessary. Removal of cobwebs from every room, hallway, corridor. Extractor fans will be cleaned. Drawers and shelves to be cleared, dusted and wiped. The detailed dusting of furniture, light switches, skirting boards light fittings and shades, , wall pictures, mirrors, fire place, radiators, stairs, doors. Other services such as oven cleaning, carpet cleaning and upholstery cleaning are not included in your end of tenancy cleaning. These may be booked at an extra charge.